Vivat Hungaria = Vivat Europa from S.O.S. Hungaria on Vimeo. Since the interpretation of the so-called mafia state Orban regime, remained rational on the ground until now, the interpretations could not find the cause of the regime's emergence and functioning. However, if we cannot find the reasons, we cannot defend ourselves against the regime. It is difficult to interpret the regime because we think with sane mind, in political terms, so the interpretations so far ignored the possibility that the regime might not be insane. The Orban regime has its own conceptual system, which is called orbanism. 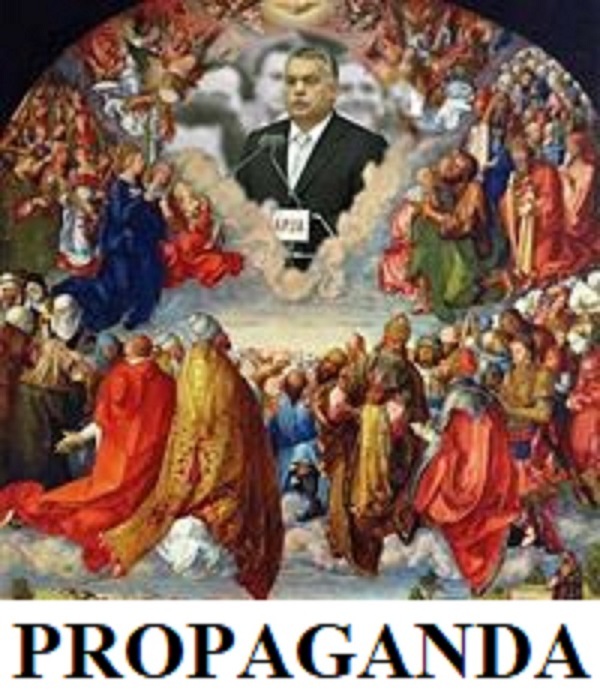 The orbanism claims that its spiritual leader is Viktor Orban. A political part does not have a spiritual leader, but a sect has. Viktor Orban seems to be a sectarian leader rather than a politician and he does not have voters, but so-called ’believers’. Many people have seen that orbanism is actually a religion. Consequently, the Orban regime should be described by the concept of religion science; we should step out from the world of rationality, to the world of irrationality. The Orban regime uses Christian-looking words, refers to the Christianity, and looking superficially as if it were Christian. Politically speaking: as if it were Christian Democrat. It is enough to look at a Soros poster that we know immediately: orbanism can not be Christian. It is also conceptually to exclude that an ’ism’ being marked by the name of a human being, would be Christian. It means, it is a Christian-seeming religion. Many people perceived that Viktor Orban was not only a sect leader, but God, a human god for his believers. In parallel with Christianity, there is a relegion which camouflages itself as a Chrisian relegion- a more accurately false relegion- in which a living man is really God. This false relegion is the Christian heret hermetic Gnosticism, which is ab ovo lie. Because of the persecutions, it was always built on camouflage, deception and lies, therefore the lie became its vital element. Viktor Orban takes away the public wealth and EU subsidies not ’just’ for the sake of greed, he donates much of it to the new ruling class, the Gnostic elite and its supporters. He, himself and his believers does not consider this ’taking away the public property’ as a theft, because in their view, the whole country is the personal property of the godking who has reached the gnosis. The Gnostic elite is beyond the concept of morality, ethic and empathy. They do not understand what sin means, what hurts their fellow man, why not to steal, lie, deceive others, etc. His divinezed gnostic state of mind is said as perdition by Christianity, and occult insanity by medical science. The end result of the gnostic transformation into god is the total madness, the transformed gnostic man’s words and actions are beyond the limits of normality. 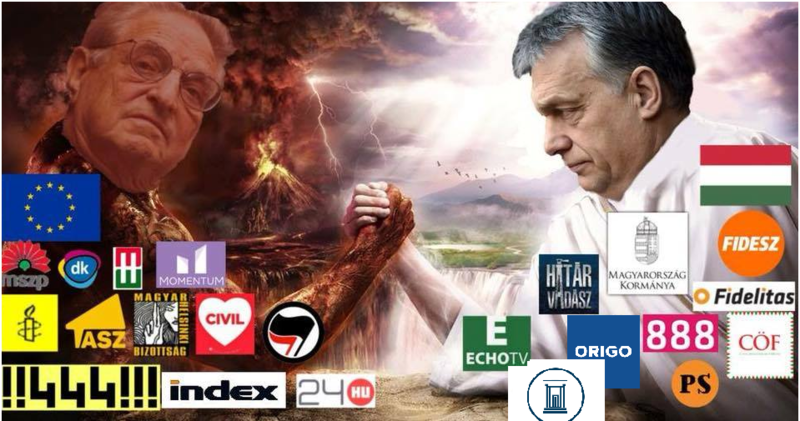 Since not just Viktor Orban belongs to the Gnostic elite, the symptoms of the Gnostic religious insanity are manifested by other people too, and even the Hungarian Parliament has become the stage for the Gnostic Madness. The essence of orbanism is constant struggle, hatred and division into good and bad. The regime is not just a mafia state, but also a state of hatred: a state based on hatred. There is only one of the trends of Gnosticism, which is specifically a state of hatred: the Manicheism. This is in our case mixed with orbánism, so this religion is called fidesz-gnosis. It is important to see that it is not political Gnosticism, but a true religion. If we know this religion, we can outline almost all the secrets of the regime, and outline the future plan for the fidesz-gnosis. We know that what we are saying seems absurd in the XXI. century, in the middle of Europe. As proof, several texts from the prominants of the Orban regime are quoted in the analyses. These texts contains hardly controversially the teachings of Christian heretics with hermetic gnosticism. It is also hardly arguable that these show the signs of gnostic religious insanity. The great extention of the analysis is the result especially of the collection of the verbal communication of the governmental texts and the original Gnostic texts which are identical with the formal texts. The study is not only for the opposition of the Orban regime, but also for the so-called’believers’ of Viktor Orban: with the unencrypted purpose of helping them out of the misdirection they were diverted to.But our efforts alone are not sufficient. Gnosticism has already infiltrated the relatively more significant layer of the Hungarian society, which has been integrated into almost every area of life. Maximum the government can be dismissed, but the fidesz- gnosis is not, and if the regime remains as a background backup, the whole story will restart sooner or later. Hungary needs help because it will not be solved by itself. We are afraid that if the process can not be stopped, Hungary will be lost not only for Christianity, but also for Europe and for the cultural world as well. Ceterum censeo Europam esse aedificandam. = "DEI GRATIA VICTOR ORBAN"
Get to know us better. Let's talk about it! Please write us a review. — S.O.S.Hungaria (@SOS_Hungaria) 2018. szeptember 23. Patrona Hungariae = Patrona Europae from s.o.s.hungaria on GodTube.